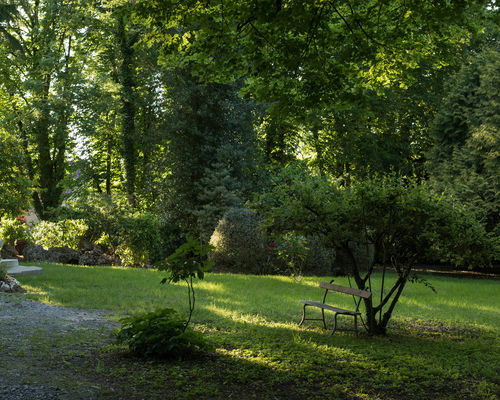 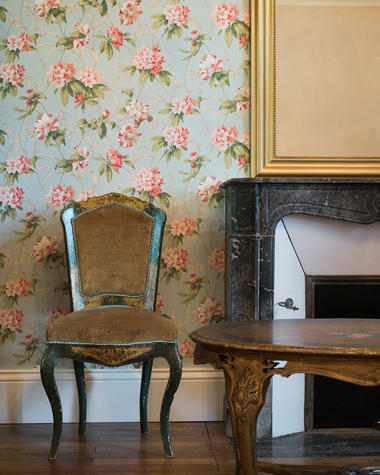 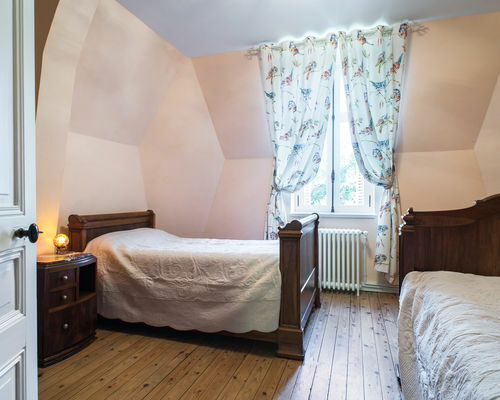 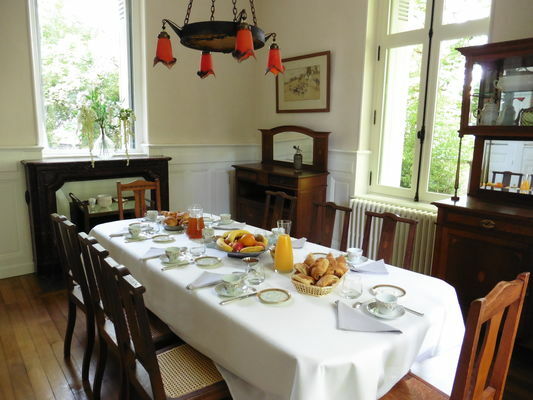 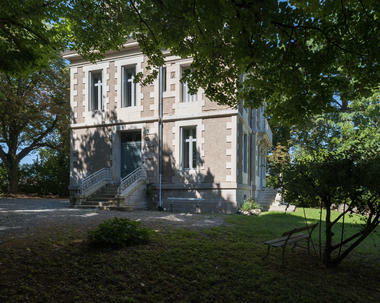 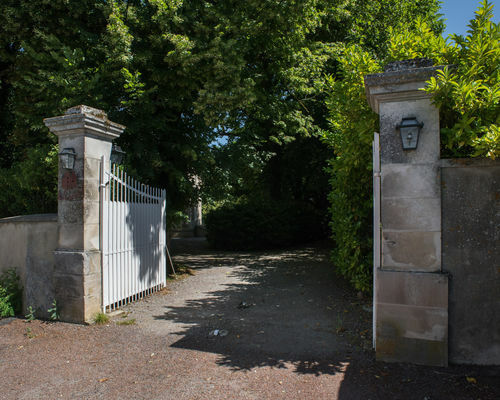 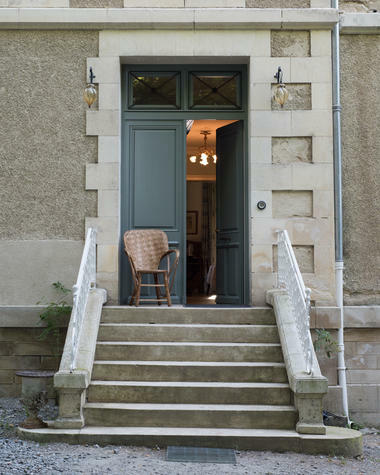 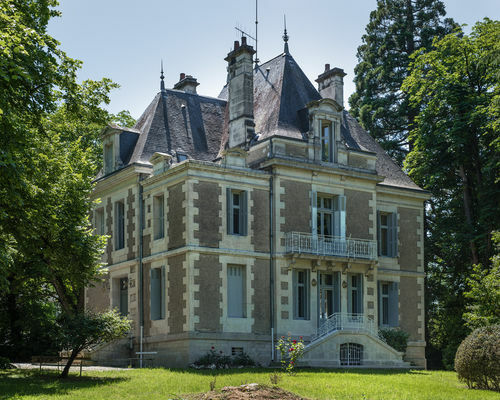 "Le Castel", located in a leafy setting and surrounded by century-old trees, offers five rooms that can accommodate fourteen people. 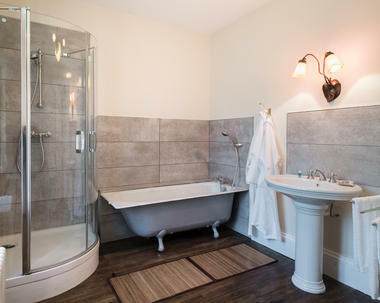 The rooms have a splendid view, and have been renovated respecting the original style of the house (Art Nouveau) using natural materials (oak, lime, hemp); the bedlinen is of an extremely high quality and will leave passing guests with unforgettable memories. 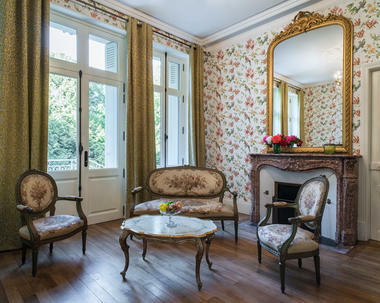 That little extra something: modernity and memories combine in perfect harmony and guarantee a confidential getaway full of charm and authenticity. 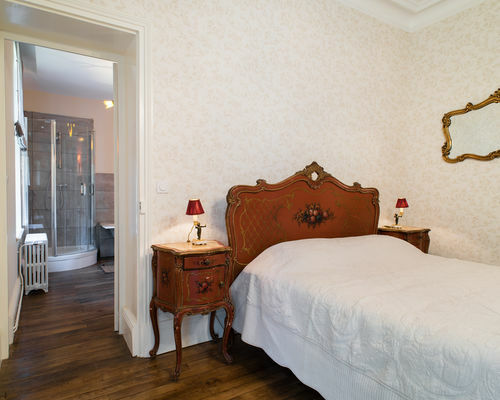 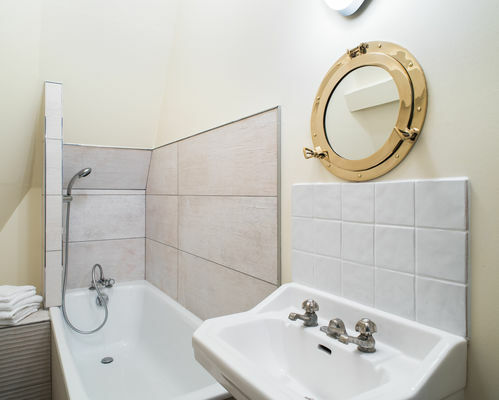 There is no review about Le Castel, be the first to leave one !